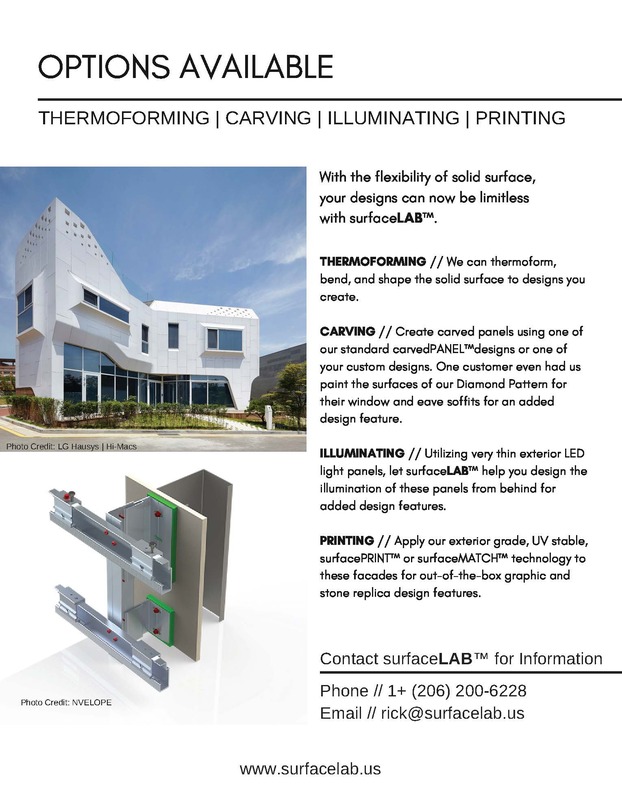 Creating unique facade applications using truly unique and cutting-edge technologies such as complex thermoforming, carving, front and rear illumination, along with surfacePRINT™ and surfaceMATCH™ technologies. 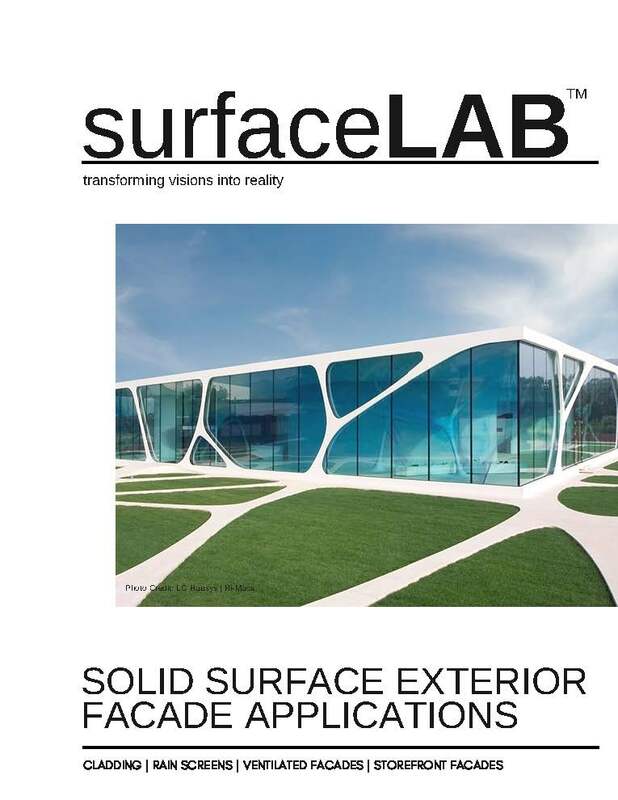 surfaceLAB™ can provide United States local jurisdictional structural engineering for your project. Out-of-the-box facade designs that add depth and dimension to any project. Utilizing surfaceLAB™ facade technologies, create architectural masterpieces in exterior building designs, storefronts, residential rain screens, protective covers, decorative wind screens, and much more. .
Utilizing the Nvelope NV3 Mounting Hardware System, along with either the Keil Fastening System or throughbolt technology, we can provide solid surface exterior applications for your specific environment and local jurisdiction. 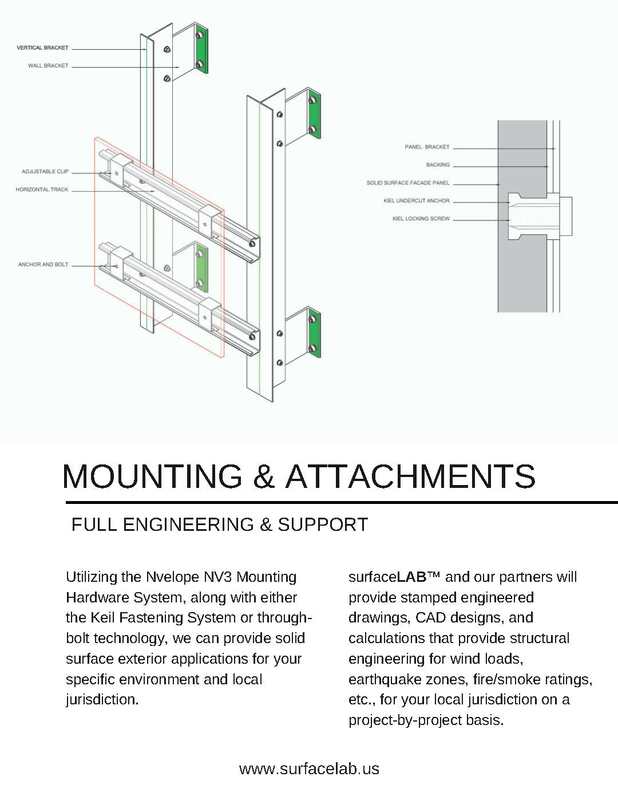 engineering for wind loads, earthquake zones, fire/smoke ratings, etc., for your local jurisdiction on a project-by-project basis.